This was a super fun personal project that I did on a Halloween day 2017. One of my co-worker "Blake Munson" is a super fan of Spiderman. He came to work with his spider-man costume which was super super cool since he has a perfect body for the character. I asked him if he want to collaborate with me for a photo shoot. He was not sure what is all about and actually I was not sure too what I was doing. 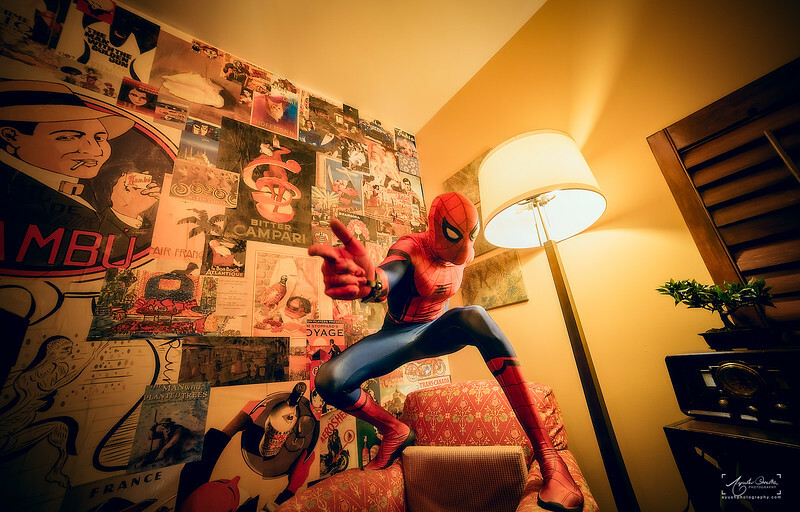 We have this awesome room at my work which is called hidden room, so I went with a theme of 80's Spiderman.